Indiana was well represented during Jug Week at the Delaware County Fairgrounds in Delaware, Ohio Wednesday, Sept. 19. 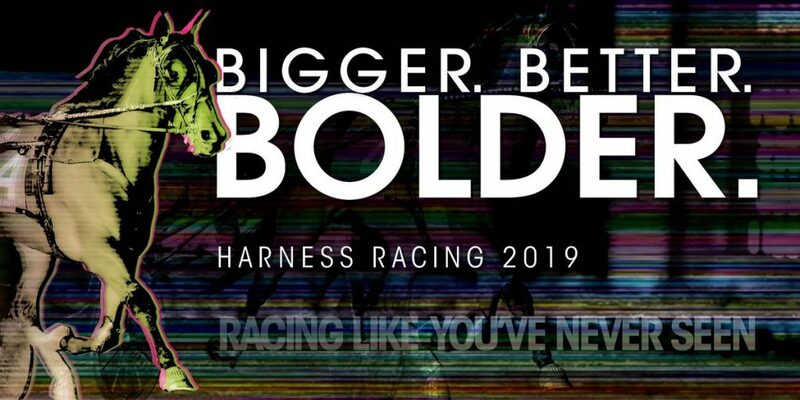 Nomo Volo, a two-year-old filly trotter trained by Jeff Edwards, earned a new lifetime mark in the $40,918 Standardbred Stakes. She was tracked closely by Byron Hooley’s Summit City Swan to make it an Indiana double. 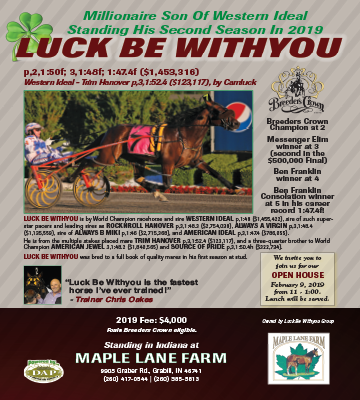 Nomo Volo, a Kentucky bred daughter of Explosive Matter, trotted out from post two for Yannick Gingras and never looked back, scoring the gate to wire win by three lengths in 1:56.4. 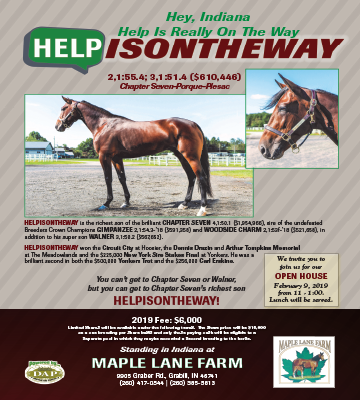 The filly trotted home in :28.4 during the mile to give her a third trip to the winner’s circle in 10 starts this season. 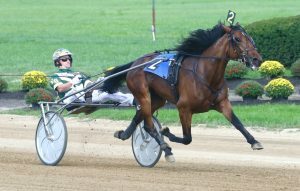 Summit City Swan, driven by Ronnie Wrenn, started from post three and moved to the outside at the three-quarter mile marker before passing horses in the lane to finish third over Keystone Abbey and Aaron Merriman. Nomo Volo is owned by Edwards’ wife, Denise Dennis, along with Frances Wilson of Tyner, Ky. and Dolne Farm Services LLC of Indianapolis. The freshman increased her career bankroll to more than $64,000 with the win. 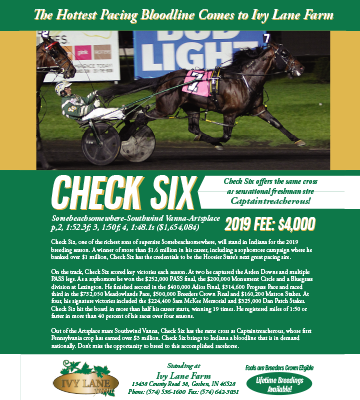 Nomo Volo, who is based out of Edwards’ barn at the Indiana State Fair, began her career at Hoosier Park in June with two qualifiers and a pair of starts, winning her last one before venturing out on the stakes circuit. 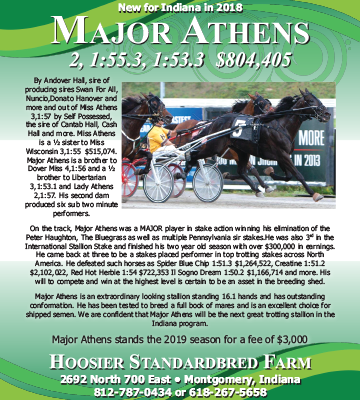 She finished second in the $20,000 Arden Stakes at The Meadows followed by a win in the Pennsylvania Sires Stakes, also at The Meadows in early August before returning to The Red Mile for stakes action.